Rivers of Steel Heritage National Heritage Area conserves, interprets and develops historical, cultural and recreational resources in eight counties in western Pennsylvania. 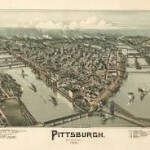 Pittsburgh’s former steel mills, manufacturing sites, coal mines; all connected by a complex transportation web were once the beating heart of the region. And it was the rapid collapse of the steel industry and the related industrial system that spurred local leaders to try to preserve something for the future. Steel making has a long history in the valleys formed by the Allegheny, Monongahela and Ohio Rivers reaching its height during the American war effort in the 1940s. At that time Pennsylvania led the world in steel production. 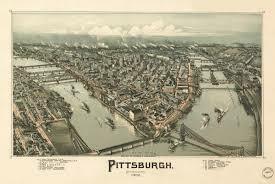 However, since the 1970s, steelmaking in the Pittsburgh region experienced a steady decline. In the late 1980s, the United States Steel Corporation began to demolish many of the company’s structures – the physical evidence of a mighty industrial center. 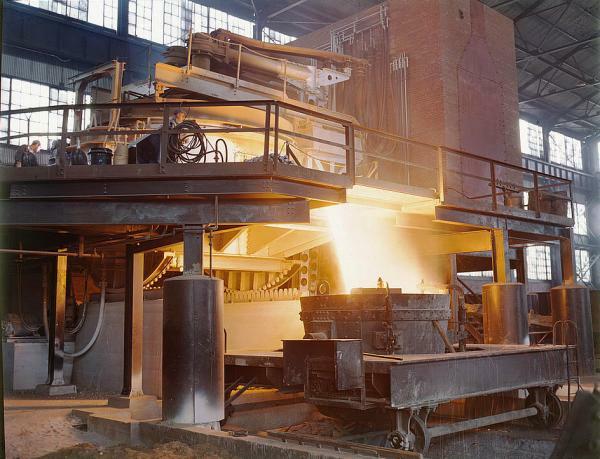 Pressured by local leaders to do something, Congress authorized the creation the Steel Heritage Task Force (1991) to develop a plan to preserve something of the physical plant and the story. The task force tackled conserving key artifacts such as the 48-inch rolling mill; compiling thousands of oral history interviews; creating collections photographs, and blueprints from workers; and multiple documentation projects of historic; and multiple documentation projects of historic sites by the National Park Service’s Historic American Engineering Record. The Rivers of Steel National Heritage Area was established to continue and expand this work to the whole region. From the organizations headquarters in the historic Bost Building in the steel valley town of Homestead; the heritage area has racked up some impressive preservation accomplishments. For example, preserving the site the Pump House the site of a battle in 1892 between Pinkerton agents and thousands of striking steel workers on the grounds of what was then the Carnegie Homestead Steel Works. The struggle was followed by a 95-day occupation by the state militia, which helped turn Homestead into one of the best known strikes in American history. And by the way the now restored Bost Building is world famous as the former union headquarters in the 1892 strike. Through grants and technical assistance the heritage area has helped numerous other historical efforts and their archival and museum collections are a major resource for scholars and members of the public. 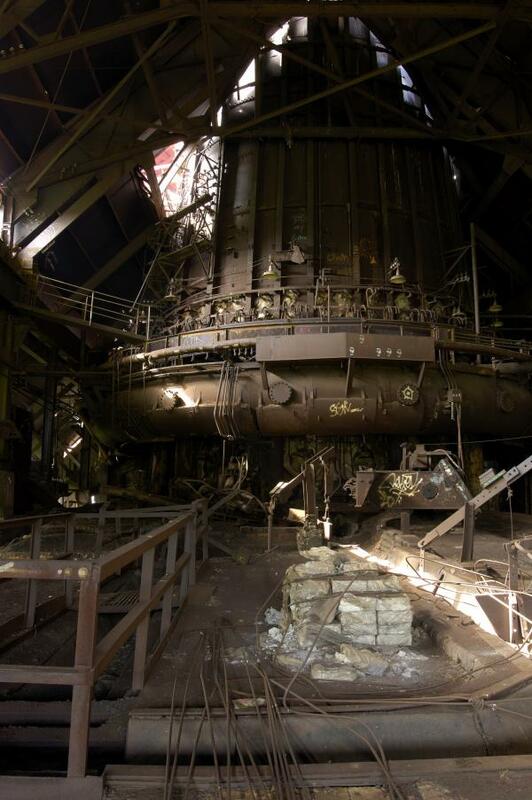 Most noteworthy is the preservation of the massive National Historic Landmark listed Carrie Furnaces Nos. 6 and 7. The Carrie Furnaces, although a very impressive site, are only a small remnant of this once huge industrial system. The heritage area’s has created a virtual exhibit that helps the visitor visualize just how dense the concentration of both large and small steel mills were that once dominated the landscape of southwestern PA. Search the map to find the locations of mills, coke ovens, and foundries as they stood in different points in history. Click on a mill icon to learn more about that site. Today Pittsburgh is a city so hip that it was recently featured in the New York Times as must see destination. 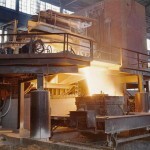 The Rivers of Steel NHA was called out in the article for conserving and interpreting the Carrie Furnaces as a rare remaining examples of pre-World War II iron-making technology. The tour of the facility (available from May to October) was recommended as the way to see something of the history of steel and also of the new 21st creative economy – enterprising artists have been constructing works of art out of materials found at the site. 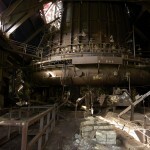 Although not mentioned in the article, the furnaces are in demand as a setting for movies films and other productions. It looks like the Rivers of Steel NHA is on it way to accomplishing its mission of linking the region’s industrial heritage to the present and future economic and cultural life of the region and the communities it serves and to become a nationally recognized brand that not only celebrates our past but also embraces our future, by connecting people to their environs.